Macy’s Culinary Council Hosts MasterChef Season 7 Champion Shaun O’Neale at Union Square in San Francisco For a Dinner and Demo! Are you ready to spend an evening of culinary arts fun with MasterChef season 7 winner Shaun O’Neale? 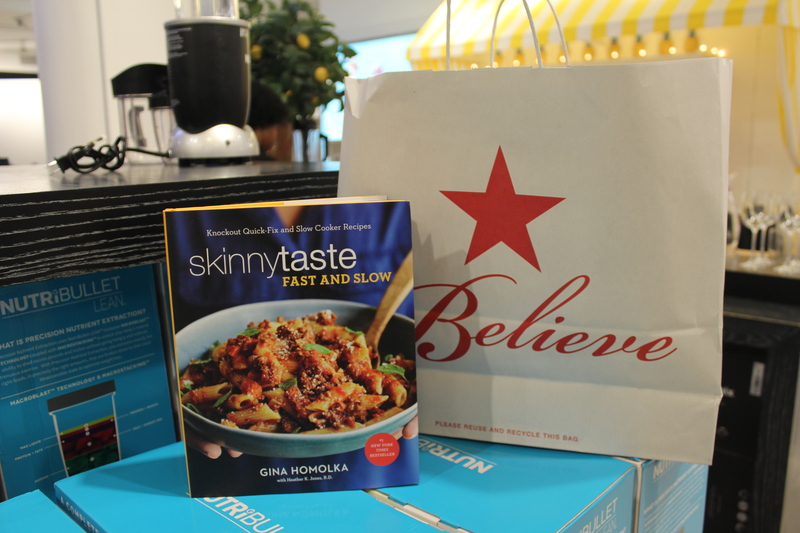 If you can make it out, be sure to join one of our favorite TV chefs for a three-course meal and cooking demonstration at Macy’s Union Square, in San Francisco, CA. Along the way, Shaun will be sharing his favorite cooking techniques and you get a signed copy of his cookbook, My Modern American Table with the ticket purchase. We loved watching this DJ turned Chef and season 7, so we know this will be one fun demonstration! Fingers crossed he packs his turntables! Price: $25, includes 3-course meal prepared by Chef Shaun, a copy of his cookbook, My Modern American Table, a $15 Macy’s gift certificate and a meet and greet with Chef Shaun. RSVP here to ensure a spot. IF YOU’RE NOT ABLE TO ATTEND THE FULL DINNER AND DEMO, WITH ANY PURCHASE OF $15 OR MORE IN THE HOME DEPARTMENT (THE DAY AND TIME OF EVENT), YOU CAN STILL GET A MEET AND GREET WITH CHEF SHAUN AND A COPY OF HIS COOKBOOK. This post is sponsored by Everywhere Agency on behalf of Macy’s; however, all thoughts and opinions expressed are my own. Image courtesy of Macy’s Culinary Council. Are you ready to spend an evening in culinary arts heaven with Red Rooster Head Chef Marcus Samuelsson? 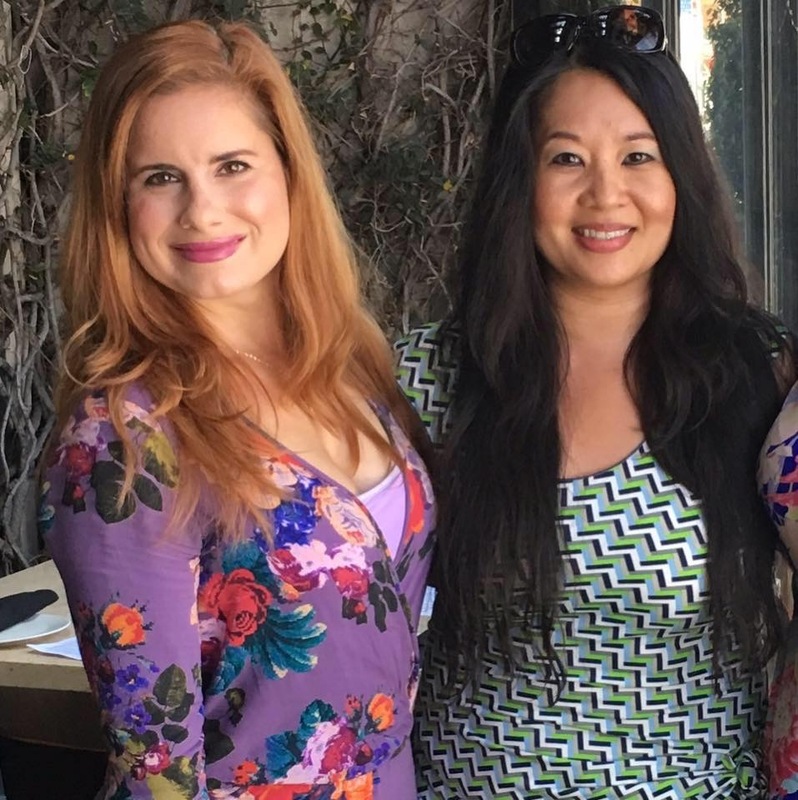 Myself (and the rest of Girls on Food) are so excited to join one of our favorite chefs for a special cooking demonstration at Macy’s Northgate, in San Rafael, CA, where he will be sharing a few of his favorite recipes and cooking techniques. Price: FREE! RSVP here to ensure a spot. BONUS! Before the demo, With any purchase of $35 or more in the Home Department, receive a special gift and a copy of Chef Marcus’ latest book, The Red Rooster Cookbook: The Story of Food and Hustle in Harlem, and a chance to meet Chef Marcus and take a photo with him! I will definitely be stocking up on some new kitchen gadgets but I’m so excited to get a copy of this book and take a shot with Chef Marcus! I’m ready for my close-up! 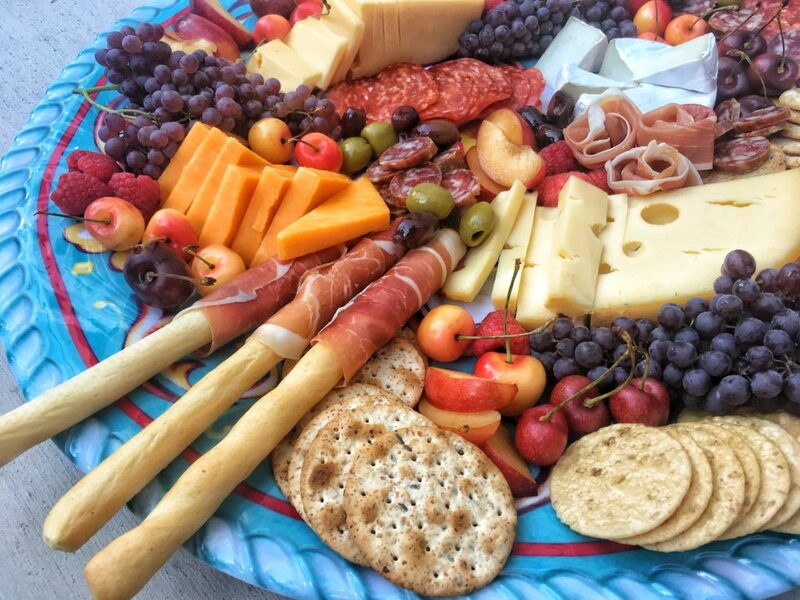 Cheese boards are perfect for Summer entertaining. With endless options, preparing a board at home can seem overwhelming, but it shouldn’t be. All you need to prepare a beautiful board at home is a platter, a sharp knife, and your food items. 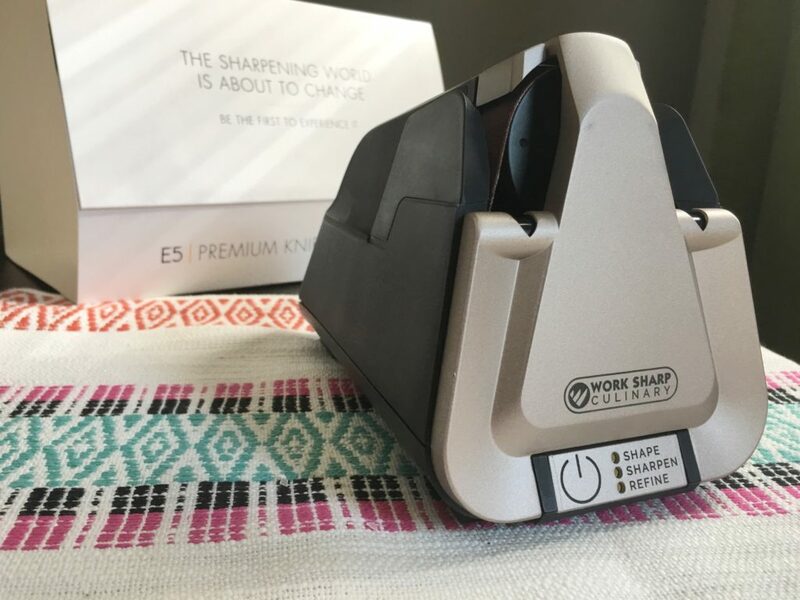 Work Sharp Culinary has created a new line of knife sharpeners, the E5, an electric sharpener, and the M3, a manual sharpener. 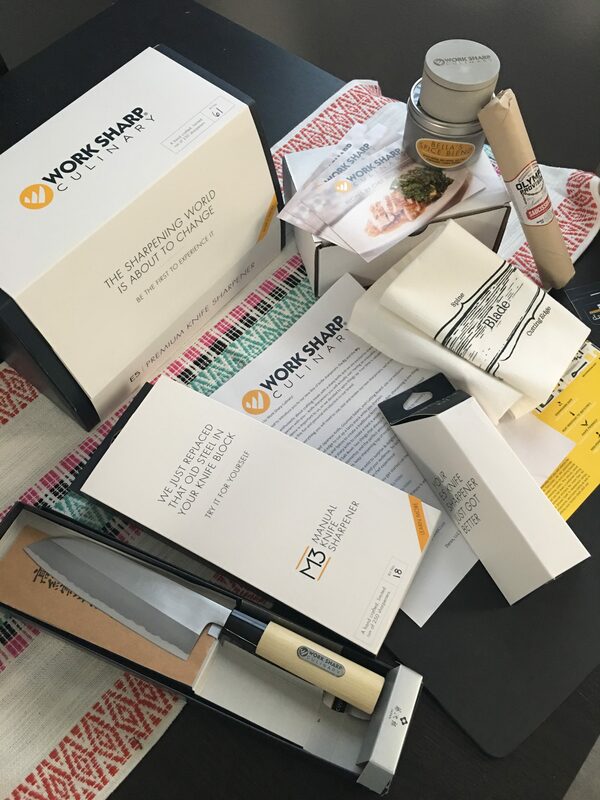 In celebration of being picked up by Williams Sonoma, they generously sent me both these new sharpeners, along with their MicroForged Japanese Knife, and tons of other goodies to review for our Girls on Food readers! To prepare the items on this cheese board, I used the Work Sharp Culinary M3 sharpener to sharpen my favorite paring knife. Since I use it so frequently, the blade on the knife was quite dull, using the M3 was easy, and restored my blade to it’s original sharpness (maybe even better than new!) I used the diamond rod to shape and restore the blade, and followed up with the ceramic rod to create a razor-sharp edge. Come With Us to Watch Martha Stewart Bake at Macy’s in Garden City, NY! 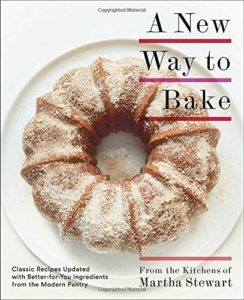 Ready to learn some new baking tips? Well, it doesn’t get any better than this! 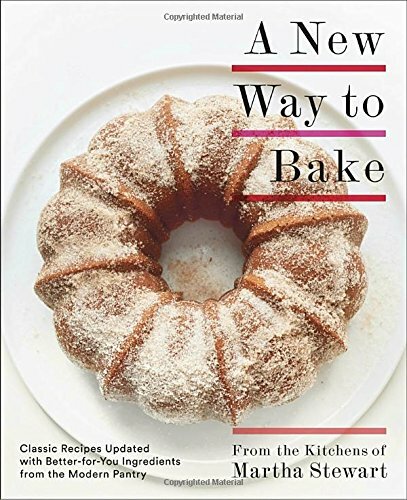 Myself (and the rest of Girls on Food) are so excited to join our idol and Culinary Council member Martha Stewart, for a special baking demonstration at Macy’s at Roosevelt Field, in Garden City, NY, where she will share tips from her latest book, A New Way to Bake! Culinary Council is a collection of spectacularly talented chefs, pastry chefs, and food professionals that travel throughout the country and hold various tastings and demonstrations in Macy’s all over the U.S. Check with your local Macy’s to see if any are happening near you! 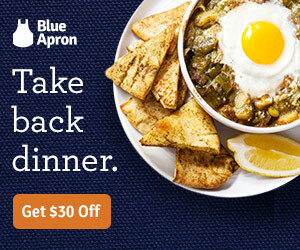 I can’t wait, I’m such a huge fan of her cookware and bakeware. The quality is great, and I love all the colors she uses; especially that teal one! We all know I have a big sweet tooth, so I’m hoping she demos one of her scrumptious looking cakes! Especially the Citrus Mousse Cake with Buttercream Frosting. Hint, hint Martha! There’s still room for you to attend! Check out their Eventbrite page here for info on how to secure tickets. 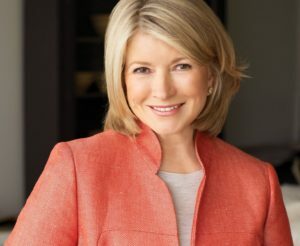 Also, starting Wednesday, April 19th, if you make a Martha Stewart Collection purchase of $50+, you’ll receive receive a copy of her new book, and a chance to meet Martha and have her autograph it for you! We’ll be live on our Instagram feed and providing stories, so be sure you’re following us! My boyfriend Aaron and I LOVE ice cream. We have to have a scoop (or 2… or 3) every night while we binge on Netflix shows. Since this is Easter weekend, we plan on watching all the stand-up comedies we fell behind on. 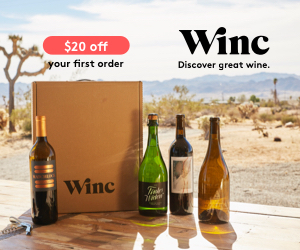 I found the perfect, personalized accessory to celebrate this holiday weekend. Personal Creations asked me if I wanted to test out their Ice Cream Shoppe Bowls and how could I turn that down? First off, the personalization is just adorable! Second, these bowls come with a big handle for clumsy couples like Aaron and I. No more spills! Third, it’s porcelain, which helps helps to keep ice cream extra chill. 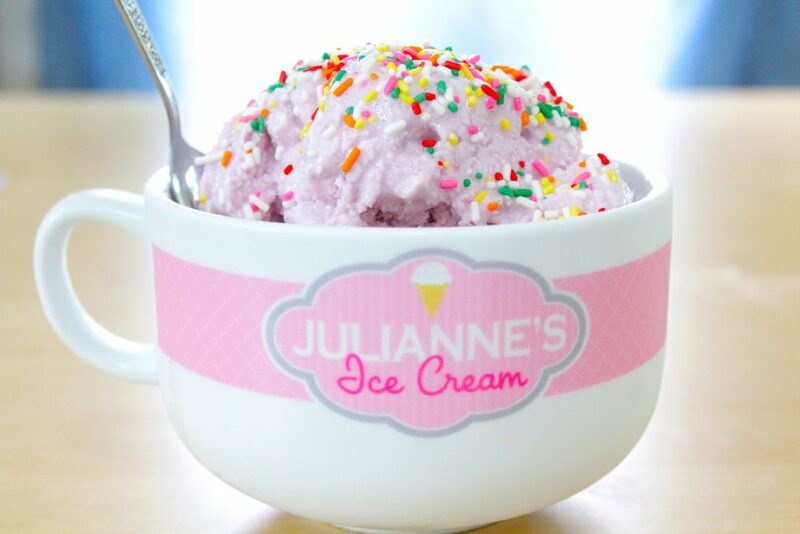 It also comes packed with ice cream toppings! I’d have never guessed that this was Gina Homolka’s first live demo, as a team member from the Macy’s Events team said. As a new member of Macy’s Culinary Council, she seemed calm and natural on stage after being introduced, giving a 45-minute presentation on demonstration of her favorite “skinny” recipes. Homolka is a well-recognized blogger of her venture called Skinnytaste, where she showcases healthier versions of favorite food items. Additionally, her intense focus on recipe testing and developing have helped her to create two successful cookbooks; her latest one, Skinnytaste Fast & Slow, was recently nominated for a prestigious James Beard Foundation award! 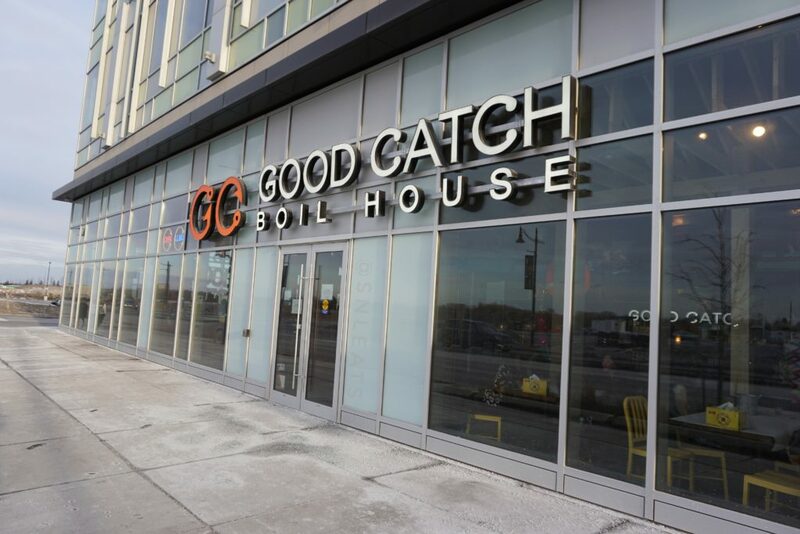 Situated just north of Toronto (in York Region), Good Catch Boil House is the first Louisiana-inspired restaurant in the City of Markham. They specialize in customizable seafood boil combinations served by the pound in six flavours: Cajun, garlic butter, Szechuan, curry, lemon pepper, or Good Catch blend. I had the privilege to attend their media event to show that Good Catch Boil is not only a boil house, but they also serve gourmet pub fare that cannot be overlooked! 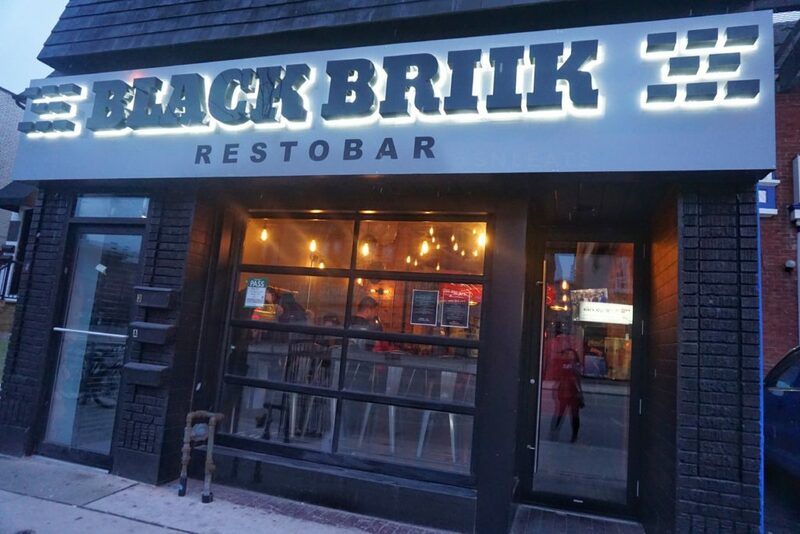 Black Briik: Your 90’s Toronto Time Machine! 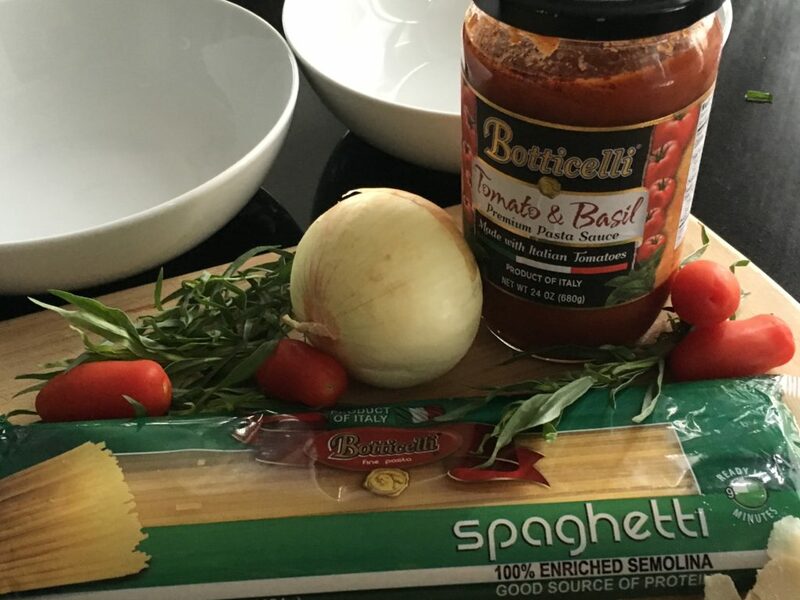 When I was asked to taste-test Botticelli Foods’ Tomato Basil Sauce, Spaghetti, Olive Oil, and Bowtie pasta, the words “of course” sprang out of my mouth faster than I could say Mangia! Since I am Italian, I saw all those ingredients and thought – done, dinner for a few days. The first thing I did was open the jar of Tomato Basil sauce, give it a quick smell and stick a piece of bread in the jar. The sauce had just the right consistency – thick and slightly chunky. It has a sweetness to it that made me turn the jar around to see if it came from added sugar. To my utter delight, it did not! The ingredients were everything that I put in my own sauce: Italian tomatoes, extra virgin olive oil, sunflower oil, onions basil, garlic sea salt and black pepper. That’s it, nothing else. That delicious sweetness comes from the tomatoes themselves! The next thing I did was rip off another piece of the Italian bread and dip it right into the olive oil. Like the tomato sauce, the olive oil tasted pure. I was afraid I might finish the loaf of bread dipping it in the sauce and olive oil, so I grabbed my pots and started cooking. 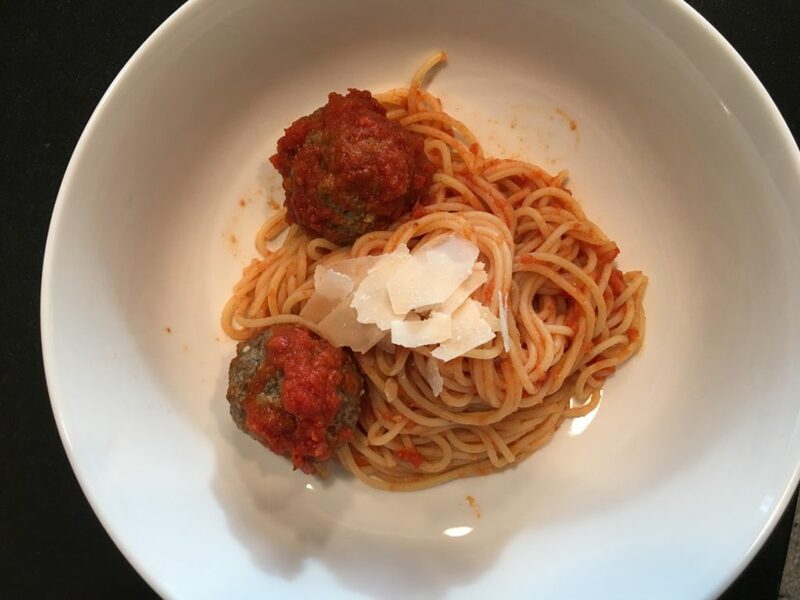 First up was Spaghetti and Grandma Tarallo’s Meatballs (family recipe). The sauce clung to the spaghetti perfectly, and there wasn’t the pile of water at the bottom of the bowl like you find with most jar sauces. Mix all ingredients together and form into meatballs. Put on a baking sheet and bake at 350 for about 35 minutes. The next day we had chicken and mushrooms with the bowties. The one thing I loved about the bowties was that they were just pretty. They weren’t flat on both sides like most – instead, one side had ridges which were perfect for holding onto the sauce. Heat a large, deep skillet over medium heat. Add 2 tablespoons each of butter and oil, swirling pan to mix. Add mushrooms to pan and sauté for about 5 minutes, turning to brown them on both sides. 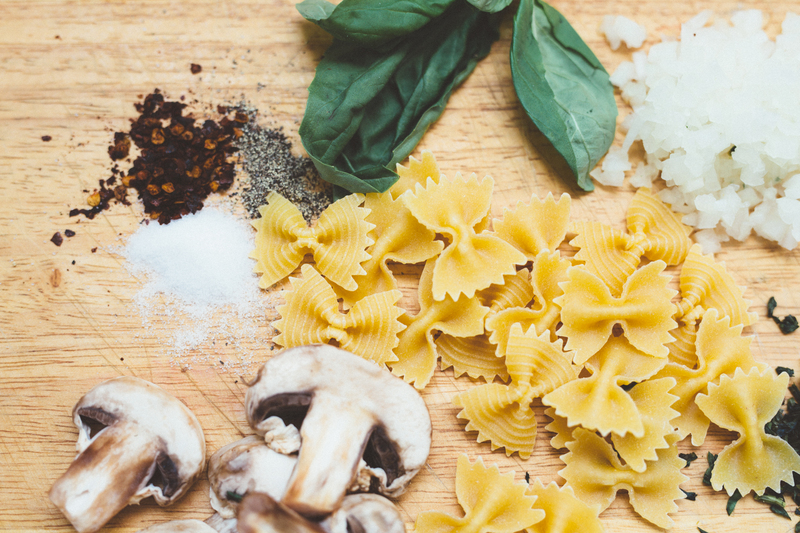 Sprinkle half the tarragon over the mushrooms, then pour in the wine [all at once, to reduce spattering]. Let the wine reduce by about half, then transfer mushrooms and wine to bowl. Add remaining butter and oil to skillet. Sauté chicken until just cooked through, 4 to 5 minutes, stirring to brown it on all sides. Salt it just slightly as it cooks. Give it a couple of generous grinds of pepper. Halfway through, add the remaining tarragon and the onion, stirring occasionally. Return mushrooms and wine to pan. Add broth and simmer over medium heat to combine flavors and warm everything through. Adjust seasonings. Take the chicken off the heat. Add cooked pasta to chicken pan. 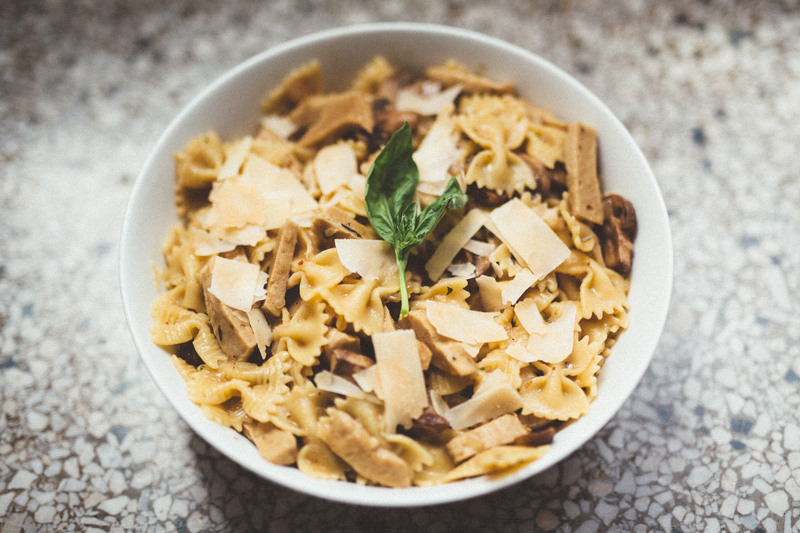 Serve with generous helpings of shaved Parmesan. 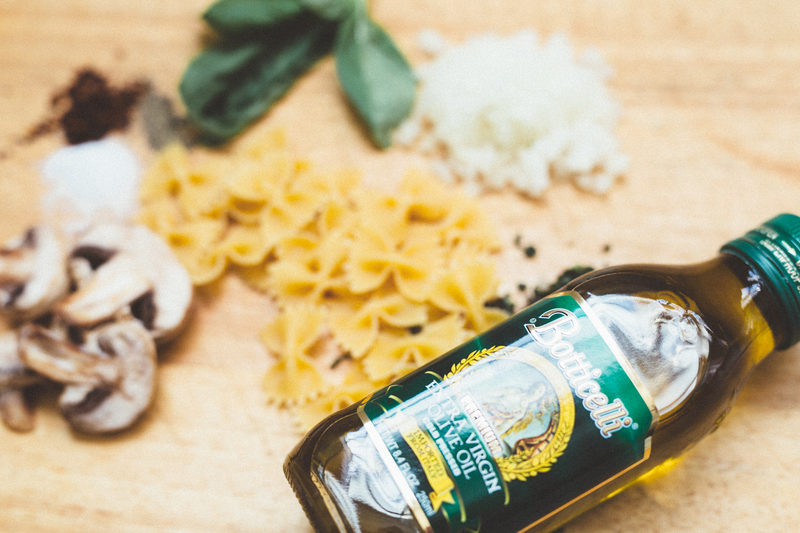 Botticelli Foods is located in Hauppauge, New York, but if you check your local grocery store’s specialty aisle, you’re sure to find everything from olive oil to vinegar to sauces and every type of pasta – everything you need for a good Italian Sunday Dinner. Mangia! 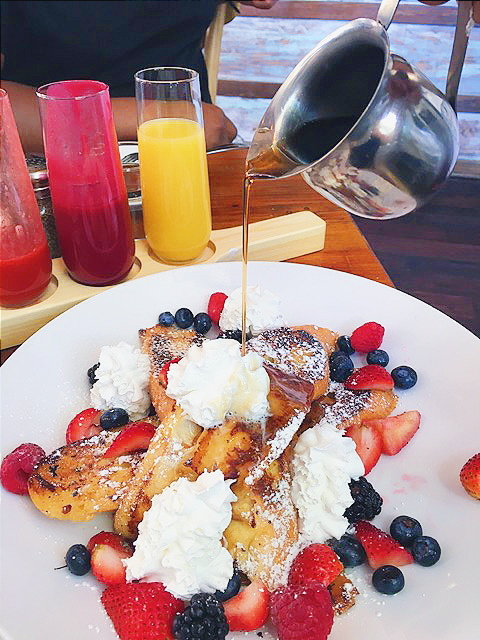 Good Vibes Only: Brunch at 801 Restaurant & Bar D.C. Anything with an egg on it can be considered a “brunch” dish. e.g. burgers, pizza, etc. So, when I was invited to try out the brunch menu at the new 801 Restaurant & Bar in D.C., I was more than excited. 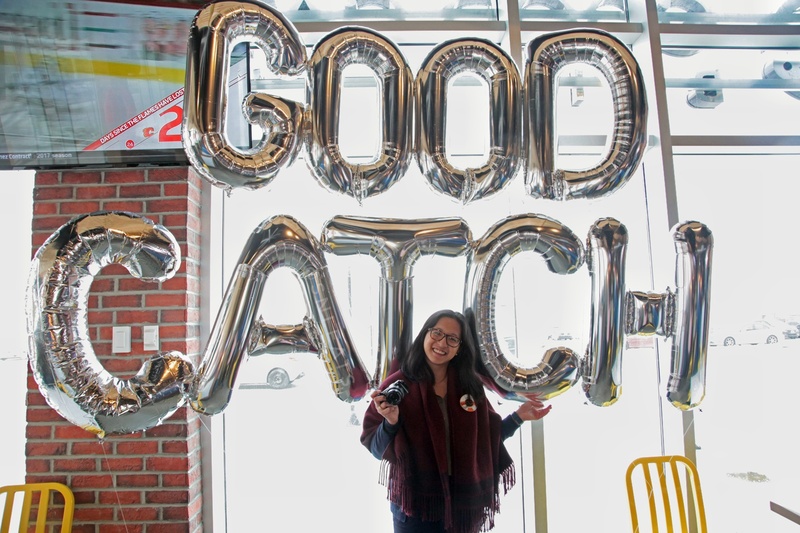 Located in the hopping Shaw neighborhood of D.C., 801 Restaurant is making it’s mark in the area’s competitive restaurant scene. Arriving at about noon, it was already packed with lively diners enjoying their Sunday afternoon buzz. As we waited for our table, I overheard a few groups praising the menu items as well as the bottomless mimosa options and confirming 801’s quick reputation as the new gem in town. 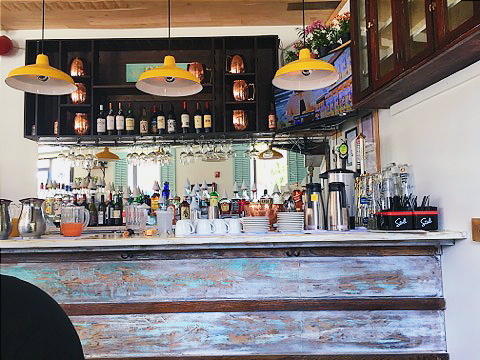 801 Restaurant has two floors of dining space, a rooftop bar, and three additional bars. 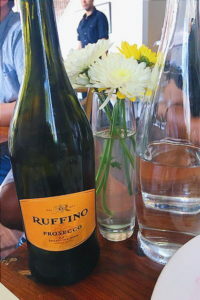 The atmosphere is laid back and chic, with fresh flowers adorning each table as well as around the restaurant. Being from New York, it reminded me of sitting in a little cafe in Astoria, Queens, so I love 801 Restaurant even more for the nostalgia it gave me of back home. Service was also attentive, and everyone from the wait staff to the managers was busy making sure diners had a comfortable and welcoming experience. To kick off our brunch, our waiter Mel (so wonderful) served us our bottomless mimosa bar. It consisted of a bottle of Prosecco and four juices: grapefruit, strawberry, blood peach and orange. 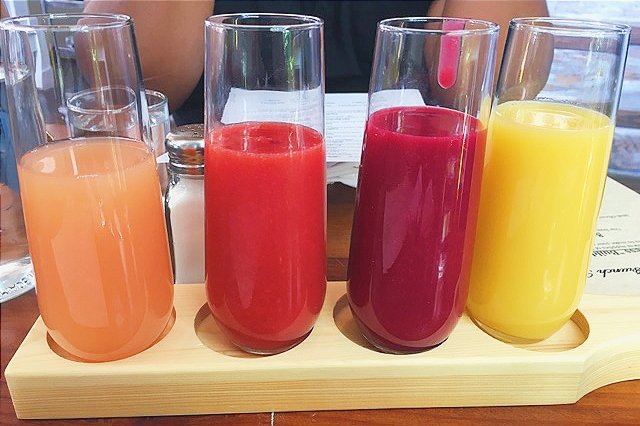 The bottles of Prosecco and the juices were refilled upon request; THIS is how you do brunch my friends! Next, we were served five dishes from 801 Restaurant’s Chef Javie’s arsenal. Chef Javie expressed that these were his top five dishes on the menu, and so we were ever so grateful to experience them. 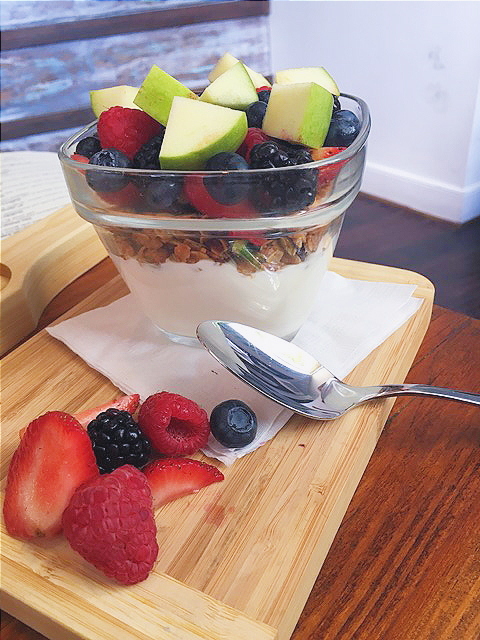 Greek yogurt topped with mixed berries, apples, and their homemade pistachio granola. The pistachio granola was a pleasant addition and added a delicious sweet & savory flavor. 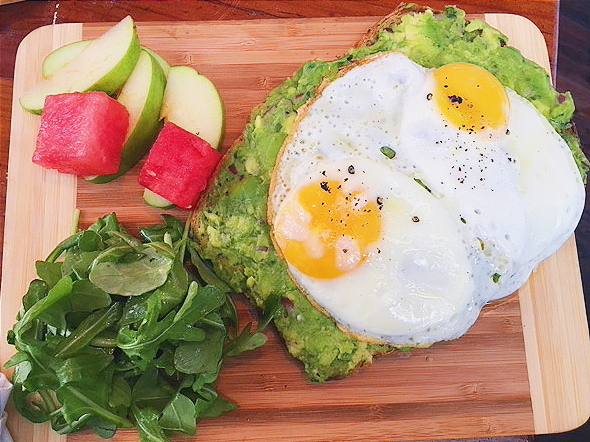 Fresh avocado over toasted multi-grain bread with a sunny-side up egg and a green side salad. I have to admit I’ve been trying to avoid the “avo-toast” craze but today became a believer. I 100% believe that “love” was the secret ingredient. 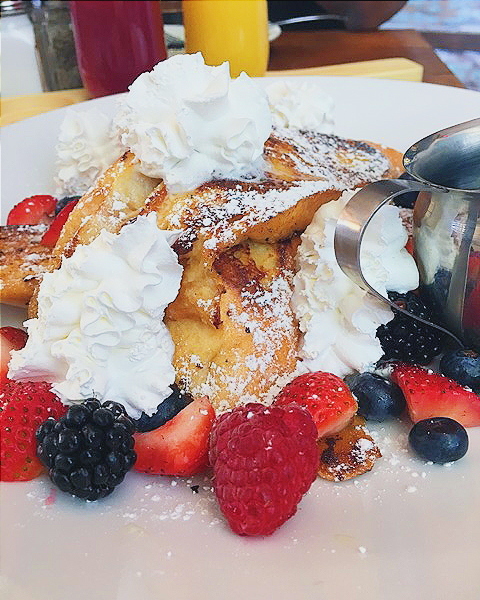 French bread dipped in their special Bailey’s batter and topped with whipped cream and fresh berries. The French bread was a pleasant surprise, and it had the perfect balance of sweetness. Hands down my favorite dish of the day. The portion was also very generous! 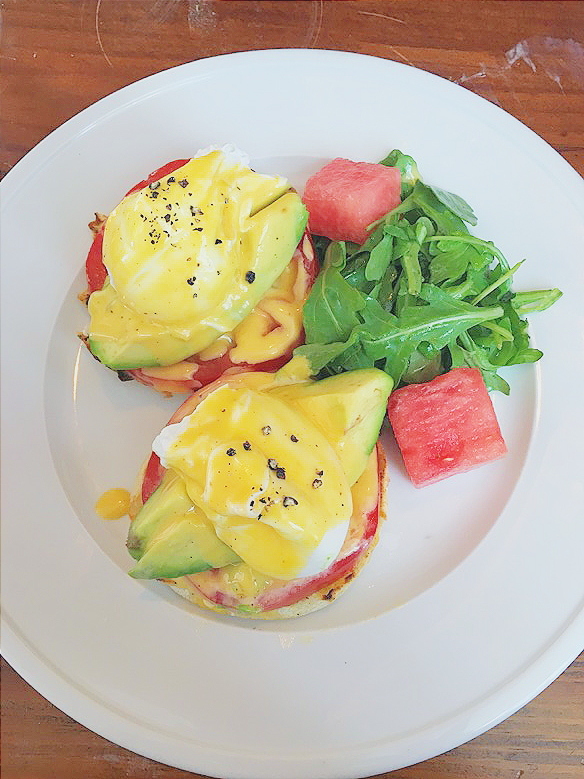 Avocado, poached egg and tomato on an English Muffin topped with Hollandaise. I appreciated their decision to do an Eggs Benedict sans the meat. It contained all of the same flavors but felt a lot lighter and clean. 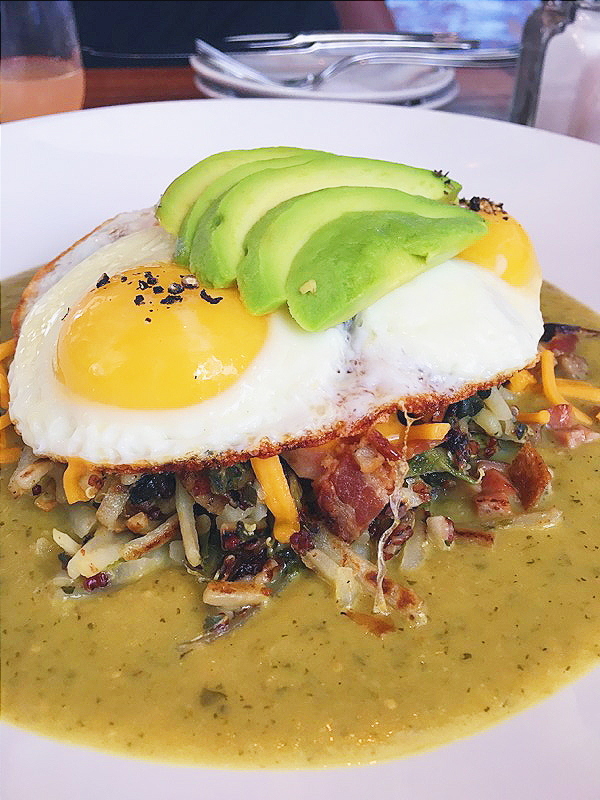 A hash containing bacon, sausage, ham, and cheddar cheese, topped with a sunny-side up egg and avocado, over a salsa verde. LAWD! This dish definitely came in as a tie for my favorite dish. Reading the description on the menu, I wasn’t expecting it to be a hash of all of the meats, so I was pleasantly surprised. The salsa verde gave it a perfect little kick as well. It is absolutely the “champion” of their brunch menu. All of the items served on 801 Restaurant’s menu are classic brunch staples with distinct little touches of their own that make them stand out amongst their brunch competitors. Prices are also reasonable ranging from $8 – $16 an entrée. Right now, brunch is only served on Sundays from 11-4p.m. but will kick off on Saturdays as well beginning Labor Day weekend. Overall, 801 Restaurant & Bar has proven to be a standout addition to D.C. and the Shaw neighborhood. I can’t wait to go back and finish out the summer on their rooftop!